At Randy Jaacks Rustic Woodmen Decks we design and install custom-made Ipe decks perfect for any backyard. 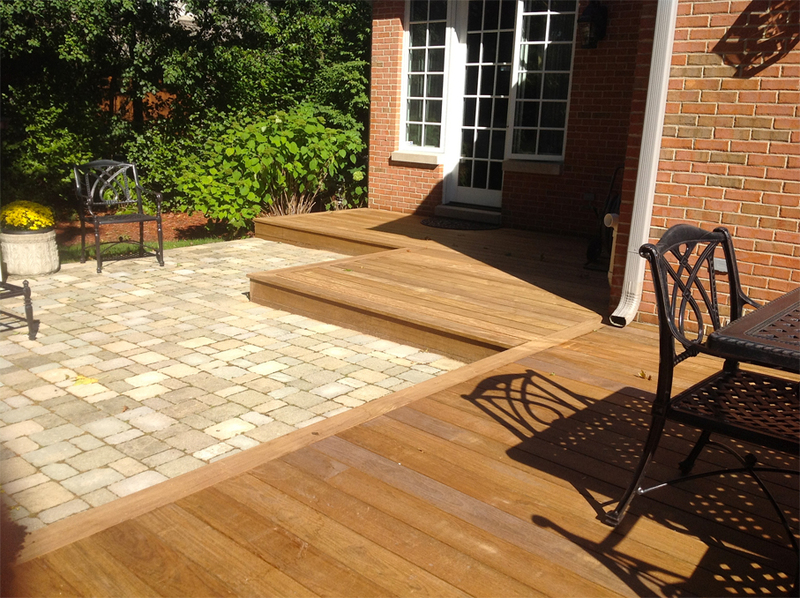 No matter where you live in the Chicagoland area – be it Glenview, Park Ridge, Northbrook, Wilmette, Arlington Heights, Deerfield, Des Plaines, Mount Prospect, or Barrington, using Ipe hardwood is a great option when creating a unique, high-end and beautiful deck. There are several benefits in using Ipe hardwood. Ipe is one of the leading decking materials because it is extremely durable and has a distinct beauty compared to other types of hardwoods. Ipe hardwood is so durable that it is able to withstand the harsh climates of Chicago and resist problems such as termite and insect damage, mold caused by humidity, and deterioration caused by snow and hot summer UV degradation. Ipe decks also age beautifully into a slightly greyed weathered look.